IN the sparsely populated northern Queensland town of Desperance, battle lines have been drawn in the disputes among the powerful Phantom family of the Westend Pricklebush, Joseph Midnight's renegade Eastend mob, and the white officials of neighboring towns. Trapped between politics and principle, past and present, the indigenous tribes fight to protect their natural resources, sacred sites, and, above all, their people. Steeped in myth and magical realism, Wright's hypnotic storytelling exposes the heartbreaking realities of Aboriginal life. 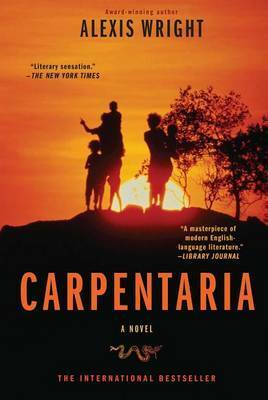 Carpentaria teems with extraordinary, larger-than-life characters who transcend their circumstances and challenge assumptions about the downtrodden "other." The novel "bursts with life" (Daily Telegraph) as Alexis Wright re-creates the land and its people with mysticism, stark reality, and pointed imagination. Alexis Wright, a member of the Waanyi nation of the southern highlands of the Gulf of Carpentaria, is one of Australia's most acclaimed and fearless writers. Her previous novel, Carpentaria, won the Miles Franklin Award, Australia's most prestigious literary prize.